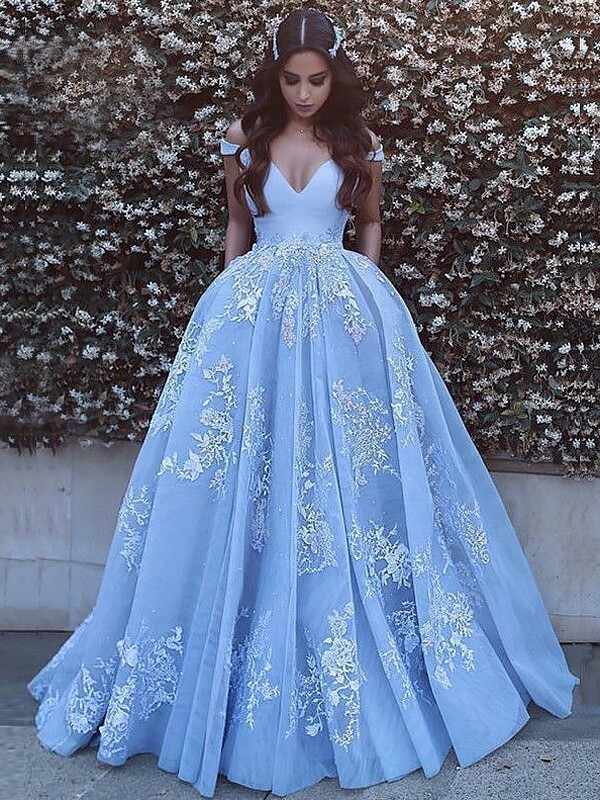 Cheap Blue Tulle Off-the-Shoulder Ball Gown Sweep/Brush Train Dresses in Evening Dresses - Special Occasion Dresses at Bonnyin.com.au online Australia with high quality and affordable price. Great quality dress- the sequins and the skirt are well made. I followed the size chart and ordered according to that, so it was just a little too big on the top. It wont take much to get it altered, but if you email the seller your measurements she'd be happy to help you. The dress was gorgeous and exactly what I was looking for. I was worried it wouldn't come in time or it would be too small. The seller emailed me asking if I would like them to make alterations for free! They were very kind and I let them know that my homecoming was before the delivery date and I wanted the dress to get there as soon as possible.